Minnesota Named Top Ten For Business in U.S.
Minnesota was ranked the ninth best overall state in the union by Forbes magazine. 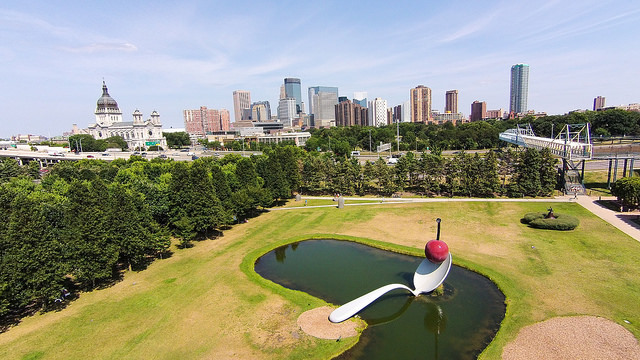 The ranking only means good things for Minnesota, which was put in the top ten for the second year in a row (though in 2013, the state was ranked eighth overall). The gross state product for 2013 was $312 billion, something that factored into the 2014 top ten ranking. The magazine ranked the states on a total of 36 factors, from economic climate to business costs to labor supply. Forbes cites Minnesota's great quality of life and strong economic climate as the main reasons for the excellent ranking. The quality of life in the state is measured by the health of the state's citizens, the low poverty rate and the well regarded schools. Though, quality of life surely doesn't measure the frigid temperatues in December and February as a factor. The state is home to the headquarters of companies like Target, General Mills, 3M and Medtronic. With a 92.4% percentage of adults with a high school degree, the state has has the fourth highest in the country. Minnesota continues to be a strong economic hub for the midwest region which bodes well for all the citizens of this great state. Did you know the Mall of America is drastically expanding? In the coming years, the MOA will more than double in size. Yes, you heard that correctly, the massive mall is going to double! With the latest addition, Radisson Blu, the top-notch hotel connected to the mega mall, the MOA is set to expand by leaps and bounds in the coming decade. A ‘Class-A’ office building will soon be connected to the MOA's north entrance, making a fantastic location for businesses who want to be near the airport, close to plenty of amenities, and be set up in brand new office space. The first phase of the coming expansion will add on another hotel, more mall space by adding another mammoth atrium, and even an expansion to “Underwater World.” The sea life aquarium will see a $2 million addition, a 15,000 gallon sting ray exhibit which allows visitors to touch the many creatures of the sea. All this growth plays in tandem with the upcoming Super Bowl that will be hosted in the state in 2018 – though the MOA’s expansion isn’t tied directly to the world event, with the media spotlight on the Twin Cities, having an even larger mall that will amaze all the visitors seems like a worthwhile upgrade.